If you’re a classic cocktail fan, you no doubt are already familiar with a key ingredient in the Garibaldi and Negroni cocktails. Campari bitters, of course, that deep red infusion of herbs and fruit in water and alcohol. Rarely imbibed neat (bleh!) it can be downright delightful when blended with citrus juice, wine or soda water. 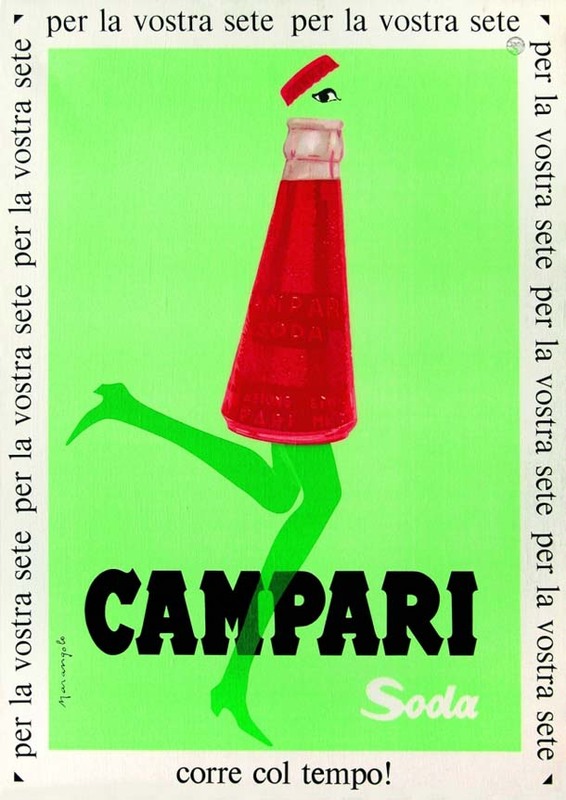 As a matter of fact, Campari soda has been marketed as a premixed drink here in Italy since 1932, the first “single dose” product ready for consumption and the “perfect pre-dinner mix” of Campari and soda. Sold in a unique cone shaped bottle designed by Futurist artist, Fortunato Depero, it exemplifies why Italian design leads the world in so many ways. 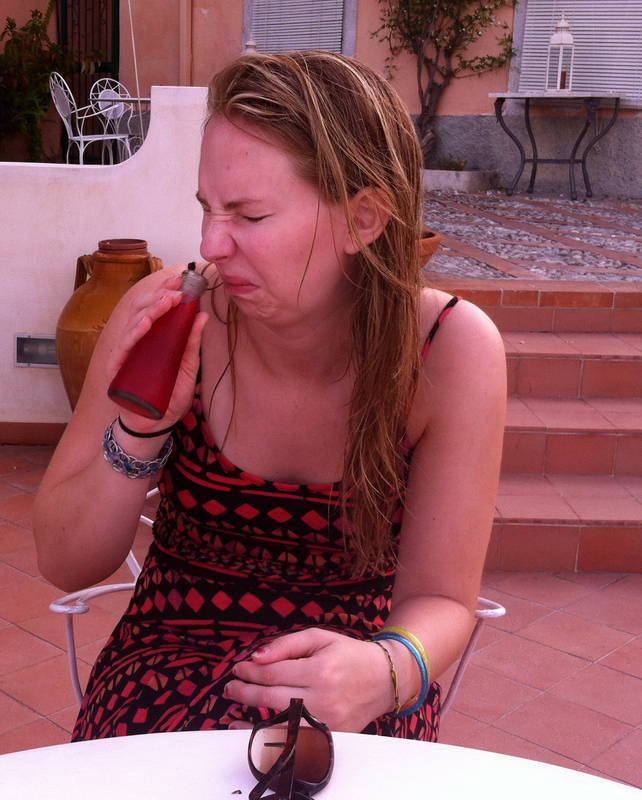 As for the drink itself, while some of us find it delightfully refreshing on a hot, sticky day, it remains an…. acquired taste. Regardless of your preference, “Cin Cin”!